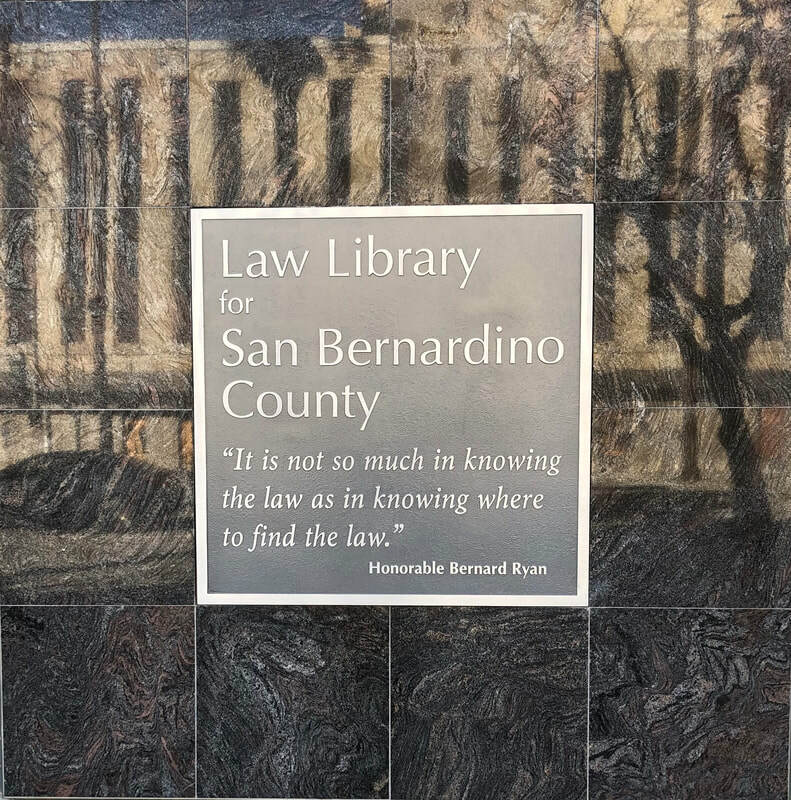 The Law Library for San Bernardino County serves the legal information needs of the residents of San Bernardino County and the surrounding region. Law Library patrons have access to various legal resources in print and electronic formats. Employees of the Law Library may show patrons how to find legal information using these resources. They are not permitted to give legal advice. The Law Library will be closed on Monday, May 27th for the Memorial Day holiday. The Law Library will be closed on Thursday, July 4th for the Independence Day holiday. The Law Library will be closed on Monday, September 2nd for the Labor Day holiday. 8409 Utica Avenue in Rancho Cucamonga. SBCLL Current News and Content! California Appellate Briefs are available online for free through LA Law Library's website. This is a part of their ongoing scanning project to provide public access to briefs. You will need the brief number to locate the document you want. Click Here for Access. A full range of Appellate Briefs can be searched at any of our Branches through our subscription to the LLMC Digital Library. For assistance or additional information ask a staff member. Need Help Finding a California County Law Library? Try going to our "Find a California Public Law Library" page under the Research Tools heading at the top of this page. Not in California? You can use the State, Court, and Counties Law Libraries in the U.S. Map to find a law library in your state. Online access for the California Rules of Professional Conduct: Selected State Bar Act Sections and Statutes Regarding Discipline of Attorneys and Duties of Members of the State Bar of California can be found here. ​Research Guides and Sample Motions are just a click away. The Operations Manual for the California Dept. of Corrections and Rehabilitation is available online. The Law Library has been chosen to participate in a PACER Training Program sponsored by USGPO and USAOC. Quick Facts about our Law Library! The Law Library's three facilities are located in close proximity to the courthouses in San Bernardino, Rancho Cucamonga and Victorville, California. The Law Library is open to all members of the public and serves the largest county in the United States. The Law Library is governed by a seven member Board of Trustees, chaired by Board President Hon. Keith D. Davis. The Law Library director is Lawrence R. Meyer.